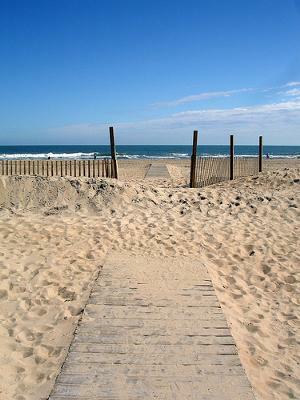 Our family is going to Ocean City MD for a beach vacation in July. with a penthouse for us in case Grandma will come. We also need help on what to pack for our kids. Mady who is 9, Alexis who is 6,her twin Joanmarie and Colin who is 2. My husband Joel and I (Kate) don't know what activities we can do with our kids. Only 7 of our kids will come. you won't have to look far to find something to make a memorable impact on each family member. select the homes in the Ocean City area that interest you. As for packing, each family member should have a duffel (we prefer duffel bags to hard sided luggage) that contains the following. Cherished toys or blankets and special cups, utensils etc. for the little ones. Puzzles, books, electronic devices, a journal and pen, a portable DVD player along with snacks and juice (I'm assuming that you're driving). Additionally, pack one shower bag that holds family items like shampoo, conditioner, toothpaste, pumice stones, q-tips, cotton balls, lotion, sunscreen and first aid items. Return to What's Your Favourite Beach?.